Got a new remote thermometer and thought I wood check it with the keg, I did check it with 2 probes in boiling water and one read 211.8 and the other read 211.7 and I would say that was close enough, I used it the other day and it worked great, it comes with 4 probes and they say its waterproof. so if you need remote therometer here's the on I got. That looks like a good deal, thanks for the head up. 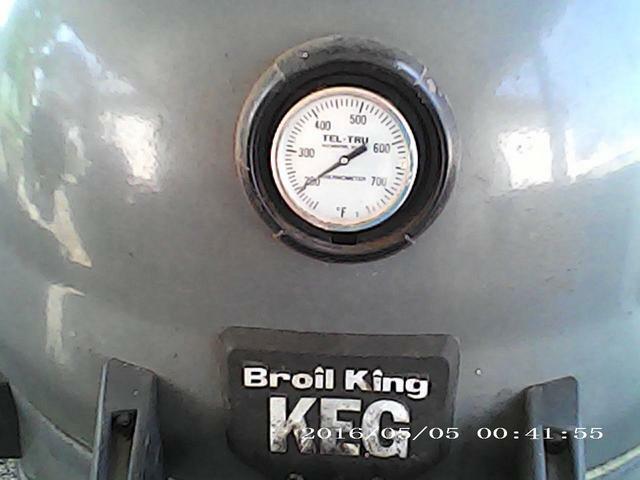 I was surprised to see the dome temp thermometer on the keg read the same as the Maverick. Where did you have the probe? I also like that the probes are rated waterproof. I always had problems with mine shorting out until I started sealing them where the wire enters the probe. Keep us updated if you have issues with the probes. Also like the extended range. With my Maverick I'm borderline as far as range, I think it is rated for 300' but it has a brick wall with windows to navigate. Sometimes you have to go in a circle to reach your destination. 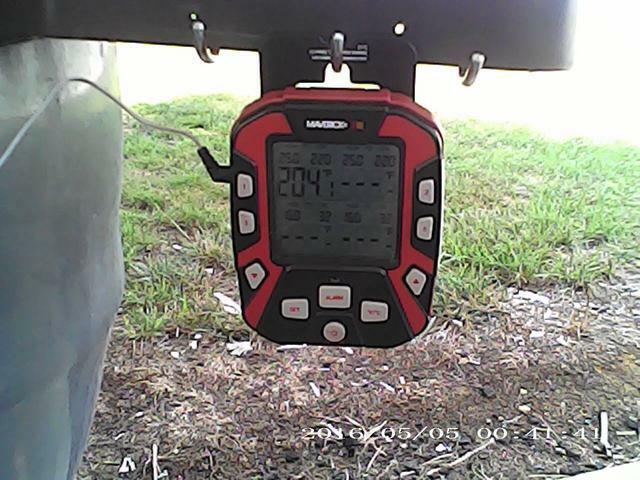 I had the plate setter in then the grate and I had the probe on grate under the dome thermometer, also I haven't had any problems with distance I guess I'm about 125 ft. from the grill that sits on patio and with the door to the patio closed and 2 rooms in it works fine.